This section contains transcripts of Don's participation in Saskatchewan Legislative Assembly deliberations during the 2005 fall session. 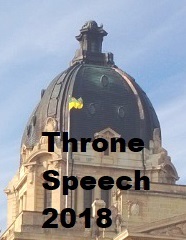 The fall session of the Saskatchewan Legislature commenced with the Throne Speech on 7 November 2005, and wrapped up on December 2nd. The Legislature resumes sitting on March 14, 2006.